On the night Janie waits for her sister Hannah to be born, her grandmother tells her a story: Since the Japanese occupation of Korea, their family has lost a daughter in every generation, so Janie is charged with keeping Hannah safe. As time passes, Janie hears more stories, while facts remain unspoken. Her father tells tales about numbers, and in his stories everything works out. In her mother's, deer explode in fields, frogs bury their loved ones in the ocean, and girls jump from cliffs and fall like flowers into the sea. Within all these stories are warnings. 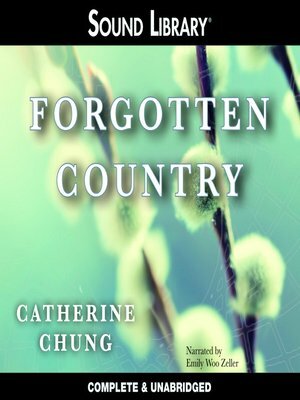 Weaving Korean folklore within a modern narrative of immigration and identity, Forgotten Country is a fierce exploration of the inevitability of loss, the conflict between obligation and freedom, and a family struggling to find its way out of silence and back to one another.